Saudi shares on Saturday partly recovered earlier losses influenced by world oil prices, which fell last week, but the all-share index still finished the session down 0.37 per cent from start of trading. The shares in petrochemical companies fell 0.74 per cent, with bellweather Saudi Basic Industries Corp (SABIC) slipping 1.08 per cent. 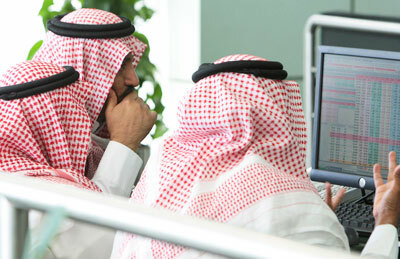 Banking stocks did better, ending with losses of only 0.11 per cent as heavyweight al-Rajhi Bank gained 0.34 per cent. The Saudi market was influenced by world oil prices, which fell last week. Earlier in the day, shares opened more than half a per cent lower, weighed by important petrochemical stocks after a week of falling oil prices. The all-share started 0.59 per cent down at 7,020 points, while the petrochemical index lost 0.78 per cent in early trading.